The snow monkey region is famous for its numerous ‘onsens’ (natural hot springs) that bubble to the ground throughout the mountains. 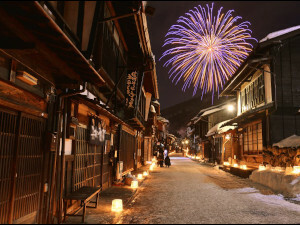 Mainly found in the town of Yudanaka, Shibu, and Kanbayashi Onsens, the area has been drawing Japanese for many centuries. In the case of Shibu Onsen, some 1300 years! The health benefits of regularly soaking in onsens are well-known in Japanese culture and perhaps best demonstrated by the monkeys themselves, which have been shown to bathe in the onsen as a form of stress relief. If it’s good enough for the monkeys then it’s good enough for us! In this article we will recommend three of the best and most unique hot springs nearby the Snow Monkey Park. 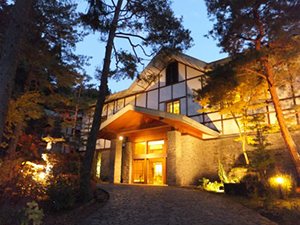 Located within walking distance of the Snow Monkey Park, Hotel Senjukaku is the most luxurious ‘ryokan’ (traditional guesthouse) in the area. 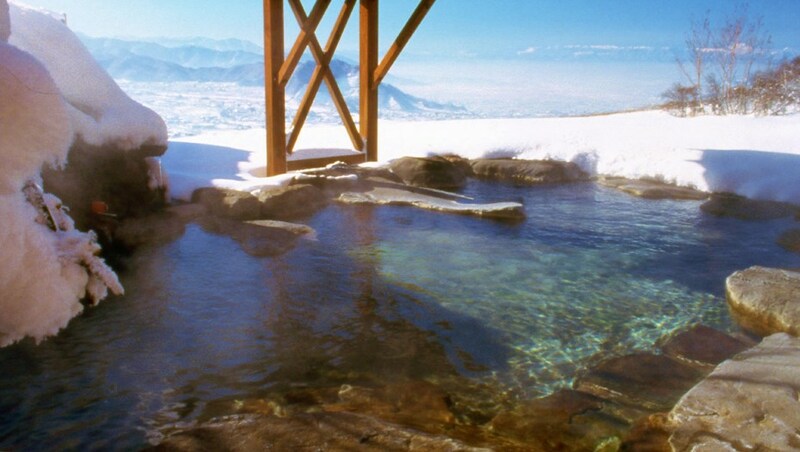 The water feeding the hotel’s onsen comes from the largest natural hot spring reserve in Nagano Prefecture – the very same source as that which feeds the pool in the monkey park. 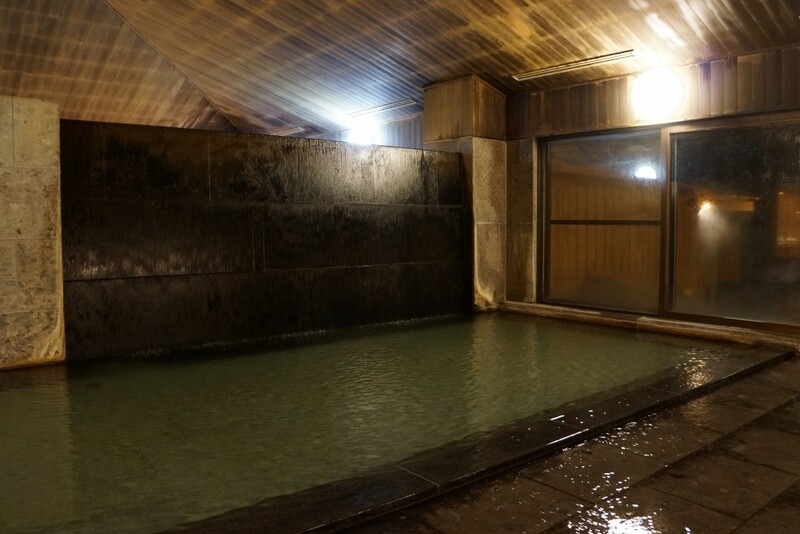 There is in fact so much water that it streams down the wall of the indoor pool at Senjukaku, like a waterfall, and overflows the bath into the shower section. 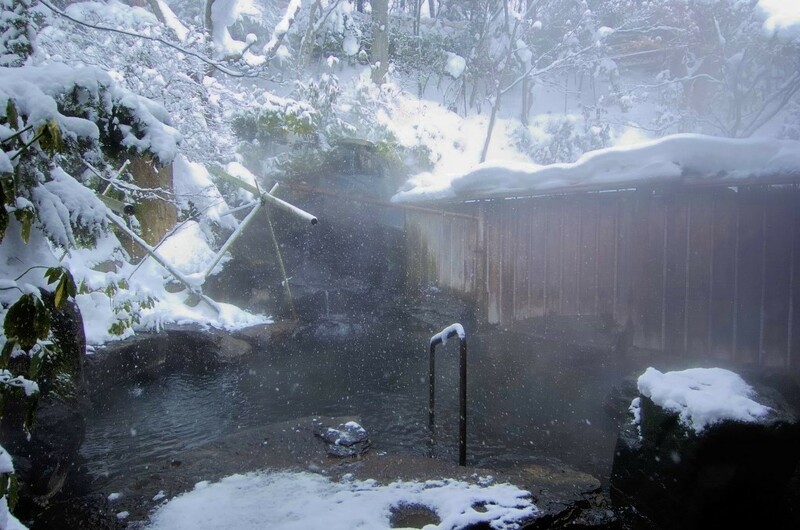 In a single minute as much as 720 liters of hot water rushes into the onsen, continuously filling the baths with fresh, clean water as the overflow drains out. Senjukaku has both indoor and outdoor pools for the enjoyment of guests. Another indulgent feature of Senjukaku is the ability to have a private onsen, without the communal sharing of most hot springs. Onsens are typically segregated by gender, requiring guests to bathe with other people in facility at the time. While this is normal for Japanese and can be quickly become second-nature for those living in Japan, many international visitors feel some trepidation to try onsen given that the bathing occurs without any clothing. Senjukaku offers guests – whether they be single, a couple, or family – the option of booking one of two private onsens (pictured below) for one hour (for a small additional fee). Senjukaku also has rooms with their own indoor and outdoor hot springs for complete privacy and the luxury of your own onsen. Not all rooms have this feature so please ensure that you request a room with a private onsen upon booking. Please note that this onsen can only be used by guests staying at the hotel. 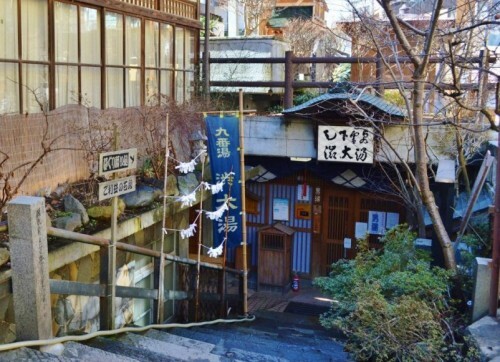 Located within easy walking distance of JR Yudanaka Station, Shibu Onsen has been in use as a hot spring village for more than 1300 years. With numerous natural sources feeding water into Shibu, there are nine “public” onsens scattered through the town which can be used by anyone staying at a local guesthouse. 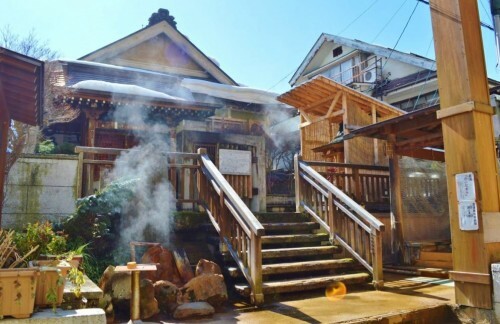 Upon check-in, guesthouses in Shibu Onsen will provide a key that opens all nine baths and any stay in Shibu is not complete without trying (or at least attempting to) each onsen. Bathhouse No.9 or the ‘O-yu’ is the only hot spring facility in Shibu Onsen which you can enter if you’re not staying overnight at a guesthouse. Conveniently located in the center of town (see map below), you can access the onsen by walking down the short staircase or inclined path either side of the bathhouse. The doors to the male (男) and female (女) baths are located on opposite sides of the building. The O-yu is an indoor bath with no outdoor pool. 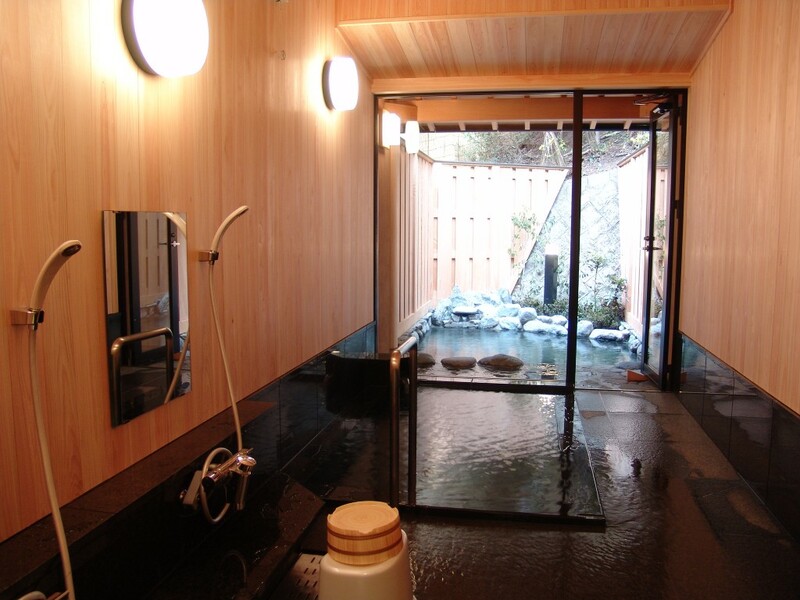 Unlike most onsens it does not have a shower area for washing yourself before soaking in the bath. Simply grab a bucket, fill it with hot spring water and rinse yourself before taking a dip. This is a very traditional type of onsen and a great experience if you’re looking to experience an authentic hot spring experience. Soaking in the O-yu is said to be good for childbirth, rheumatism, and neuralgia but just as relaxing for those with no particular ailment just wanting to relax. The O-yu also has an outdoor footbath (as seen above) that anyone can use for free. 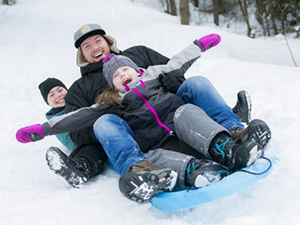 It’s particularly enjoyable in winter when its notably hot water feels great as snow falls around you. It’s the perfect place to stop for 5 to 10 minutes, whip-off your shoes and socks, pop your feet in, and sit down for a chat. This onsen is available for use by the public. 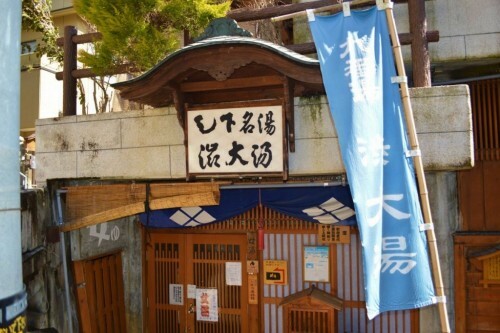 To get entry to indoor bath of the O-yu you will need to get an entry key at the Shibu Onsen Information Center. The bath is available for visitors from 10:00 to 16:00 and the entrance fee is JPY500. The footbath is free to use. A little further away from the Snow Monkey Park and JR Yudanaka Station but still readily accessible, Toomi-no-Yu is a hot spring facility serving Hotel Selan with an outstanding view of the valley below. Toomi-no-Yu has indoor and outdoor pools along with both public and private baths. 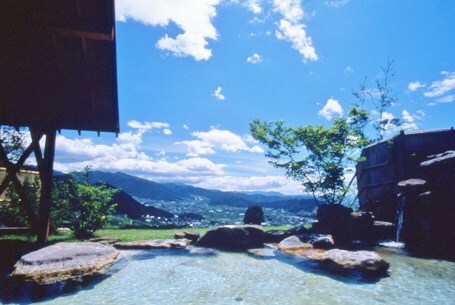 The outdoor pools are particularly enjoyable given the panoramic view they have of the valley extending to the Japanese Alps in the distance. 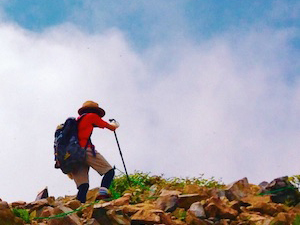 On a clear day you will look down upon the small villages which gradually merge together into Nagano City and in winter, the snow-capped peaks of some of Japan’s tallest mountains. The public bath is quite large making it a very comfortable onsen where you won’t feel crowded. The private hot spring is notably smaller but affords guests the privacy on their own pools, including both indoor and outdoor baths. 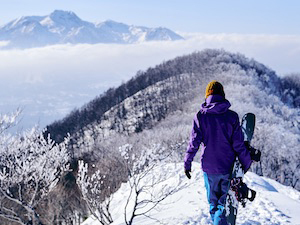 Located up the mountain from the more well-known onsen villages below, Toomi-no-Yu is rarely busy and offers international visitors an experience that most others will not discovered. It’s worth making the effort to get out of town and make your way up the mountain for view alone! 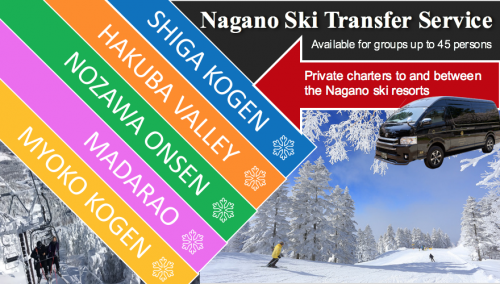 There are no public transport options connecting the onsen to the Snow Monkey Park or JR Yudanaka Station. The best way to get their is by taxi, which can be easily arranged at the taxi rank directly opposite the train station and takes approximately 20 minutes. 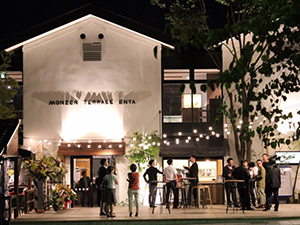 Toomi-no-Yu is open from 10:00 to 23:00 and costs JPY600 for adults and JPY300 for children. 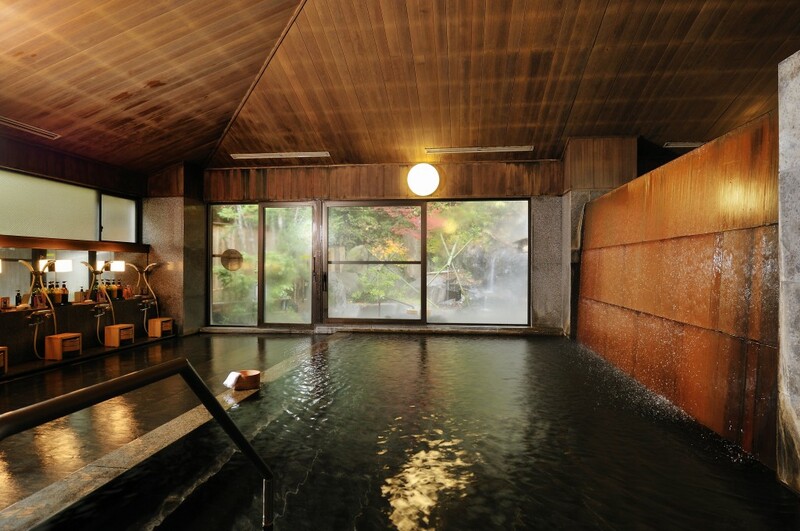 The private onsen can be requested at hotel however it’s best to book in advance by phone – 0269 33 1111.